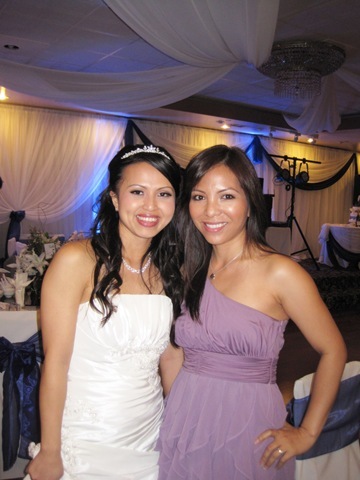 This weekend we attended my friend Alicia’s wedding, you might remember her bridal shower a few weeks ago. We had fun seeing old friends and catching up with them. 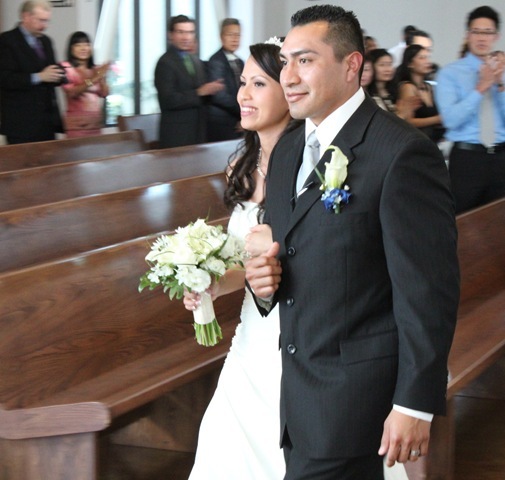 Here are the highlights from the wedding, which had a blue theme (the bride’s favorite color). We ate a ten course meal, which was way too much food for me and I was full by the third entree that was served. BUT, I had to make room for this delicious dessert! 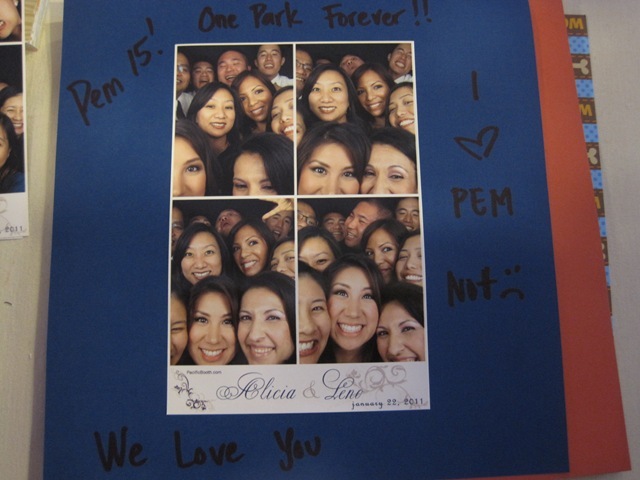 We also had a lot of fun taking pictures inside the photo booth. We took a lot of pictures with friends. 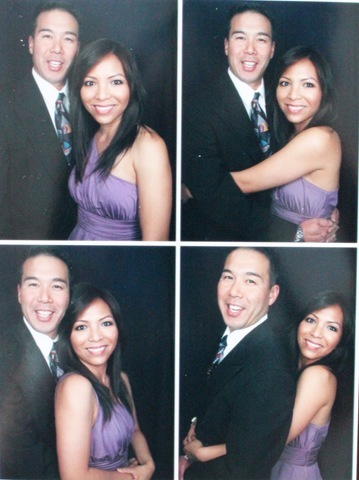 I came home with at least 10 pages of pictures from the photo booth. We posted our pictures on scrapbooking papers for the couple to include in their wedding book. Here are a few of me and Chris. Ahhhh, I just love weddings. They are so romantic, so beautiful and so fun! While I write this post, the house smells like how I would imagine a spice market would smell like. 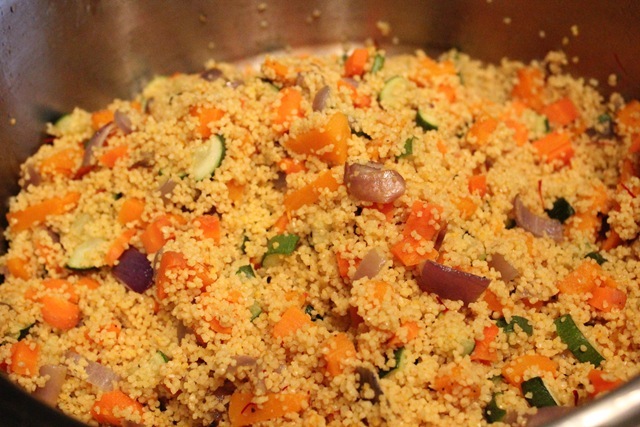 I just finished cooking a batch of Moroccan Couscous dish for the week. Smells delicious! Its needs to cool, then I separate and store each servings so I can just eat it throughout the week. I am traveling mid-week this week so instead of cooking a few dishes for the week, I figured I will just “assemble” my meals from what I have on hand instead of cooking. Now I’m off to do the rest of my Sunday chores! Hope you had a fun weekend. Anywho, the bride is gorgeous, you are gorgeous, your man is also gorgeous, the cake is gorgeous. What an overall just amazing looking wedding. 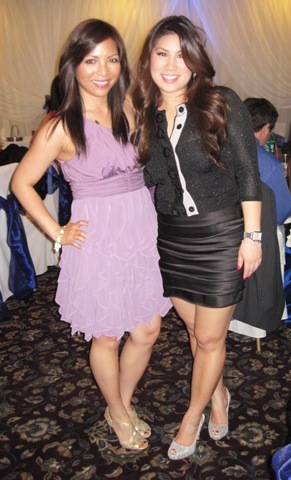 I love that purple dress. You look gorgeous in purple!!! Wonderful pictures! You guys are so cute making your little heart! 🙂 That couscous looks great! That dress is so gorgeous!!! I love it! I think I might end up going to that event next weekend. Maybe I’ll see you! Cous cous looks delish! Looks like it was a fun wedding! You look so beautiful!!! 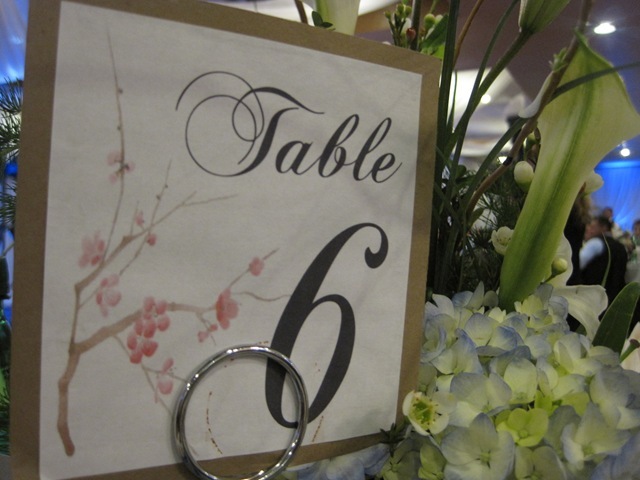 Just think your wedding will be soon and beautiful and the best day ever for you and your fiance!!! Your friend was a beautiful bride! The cheesecake looked delish! Im not a cheesecake fan but it looks good! That couscous looks delicious I make one very similar I use sun dried tomatoes in oil, edamame, and a blend of 7 other grains. Your dress is so beautiful glad you had fun. The wedding looks gorgeous. I LOVE your dress. And you two in the photo booth is too cute for words 🙂 Love prepping meals ahead of time- makes life so much easier. I am also traveling mid week! Fun fun! such a beautiful dress, i know i should be mentioning the bride first, but i have to comment on ur dress first; the color is sooooo pretty. purple is serene and calming and you look graceful and just like a living doll. and the bride looks radiant- the cut of her gown is VERY flattering and dainty! you are so gorgeous girl!!! I LOVE weddings too!!! 🙂 I have three to attend this year, and I can’t wait. 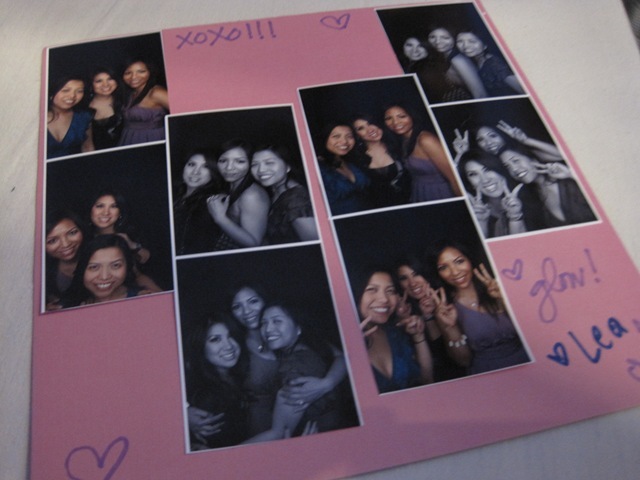 I’ve never been to a wedding with a photo booth, but they look like SO much fun!